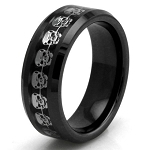 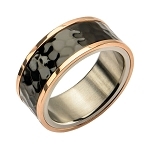 Ideal ring for fashion or to say "I do", amazing look with the perfect amount of bling. 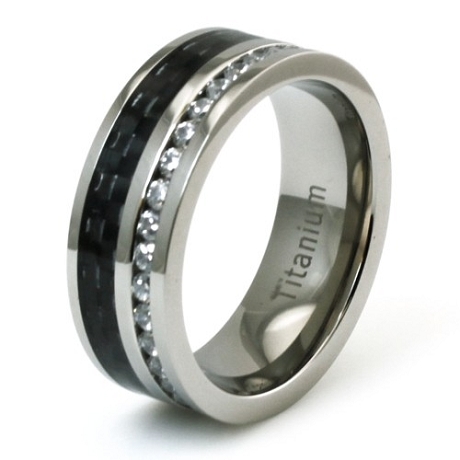 This titanium and carbon fiber inlay with CZ's is sure to make him feel special. 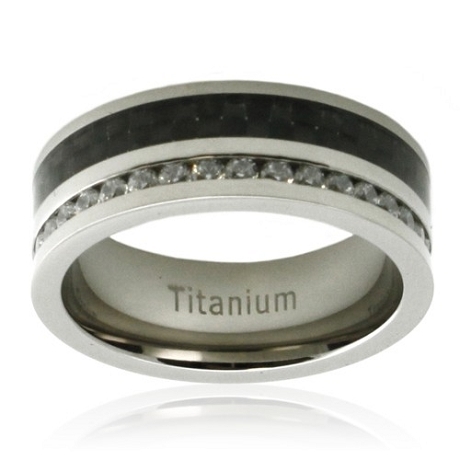 Titanium is known for its super lightweight body, high corrosion resistance, and superb strength. 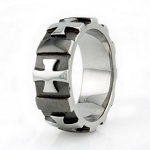 We use only high quality commercial grade 2 titanium.